I’m a little behind on all this, but let me tell you about the esteemed Blogisattva Awards. This event was created several years ago by Tom Armstrong, and is carried on by a group of fellow bloggers, led by Nate DeMontigney and Kyle Lovett with Anoki Casey providing the great logo and design. 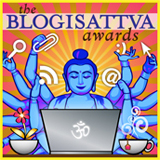 The purpose of the awards is to help grow awareness and recognition of the world of Buddhist bloggers. If you’d like to nominate The Jizo Chronicles for recognition, you can do so here. Two categories that might be relevant are “ Best Achievement Blogging Opinion Pieces or about Political Issues ” and “Best Engage-the-World” blog, but of course the choice is up to you! 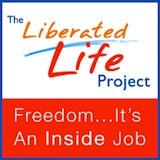 And there are lots of other wonderful Buddhist blogs out there (see my blog list in the right sidebar if you need some ideas)… so please do participate and give them the recognition they deserve. The deadline for nominations is November 1, so you’ve got about a week to go… get out there and stir things up! “Blog I most look forward to getting a notification-of-post from every day and am most likely to read”. I’ll dig around for a different heading, but none of the 13 categories quite encompass the consistent warmth/insight/generosity of what you are doing here, Maia.